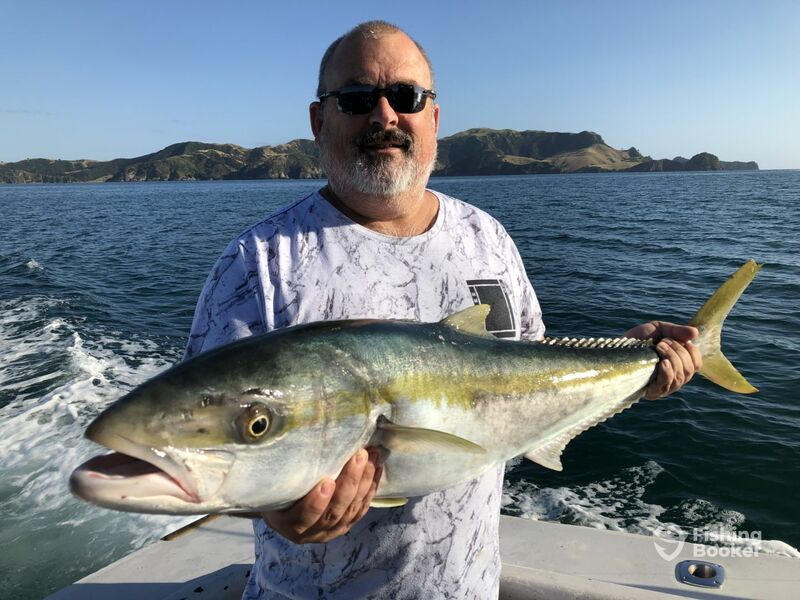 Geoff Stone, along with his anglers, holds numerous Club, New Zealand, and even World Records for Marlin, Broadbill, Swordfish, Shark, Tuna, Kingfish, Snapper and Sea Bass. 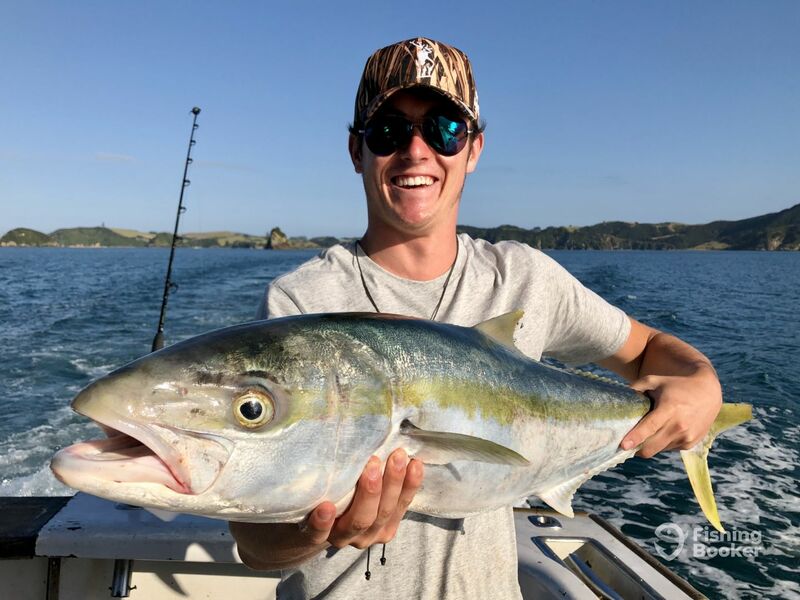 For the last four seasons, Major Tom II has collected the Bay of Islands premium awards for both Most Gamefish, and Most Gamefish Tagged. Without question, the best fishing charter I’ve ever been on! 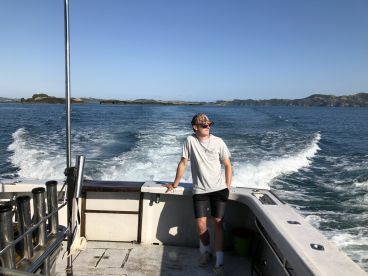 I’ve been fishing for 40 years, but chose to leave my own boat today and take a charter with ones of NZs most respected and well-known skippers, for a chance to learn and see how the pro’s do it. Well, WOW! Apart from Kingfish thick and fast from the first drop, the boat was spacious and comfortable, the gear was more than adequate, and the skipper Geoff and first mate, Paul were hospitable, generous with their phenomenal knowledge and great people to spend the day with. I will DEFINITELY book their services again next time I’m in the Bay of Islands. I could not recommend more highly. Thanks Richard. A most enjoyable morning for us also. fantastic day of fishing! Started slow but picked up on the last hour! Very happy with geoff and paul. Both is very helpful specially with 5 people that dont know how to fish! 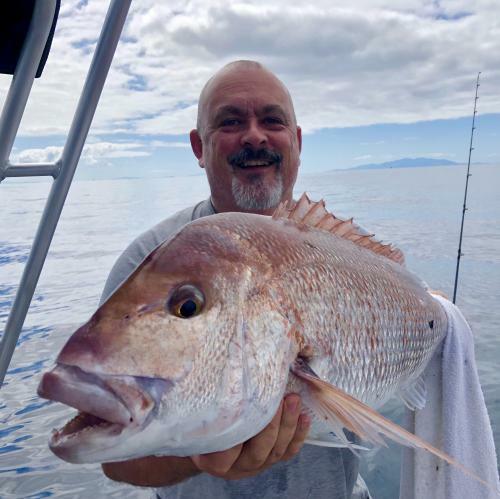 Very patient and paul the first mate is awsome and very friendly, highly recommended and we will fish with them again soon. Thanks for a lovely day and everybody had a blast!!!! More power and more success! Glad you enjoyed yourselves. See you next time. 5 hour trip with Geoff Stone and Paul. Would have to say best fishing charter we have been on .Great guys fantastic day and plenty of fish. Totally recommend Major Tom Charters. A pleasure to have you aboard. Hope we can do it again sometime.